Is it time for you to get pampered? Do you need to get healed, to have your body, mind and spirit nourished and rejuvenated? How long has it been since you spent time in your favorite destination spa? Or have you never been to one and desperately need to go and get de-stressed and nurtured? 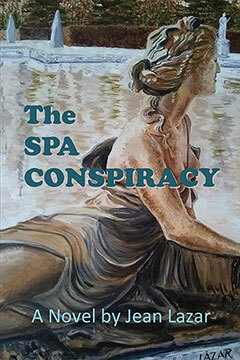 Before you book a weekend of treatments at a spa, read this novel. The main characters will take you behind closed doors to a world you will never see. You will experience the good, the bad, and the ugliness of what it takes to make your day the ultimate healing experience. Through the eyes of three massage therapists working in luxurious spas, you will become aware and knowledgeable of the workings of the spa world. At the very least, you will be entertained. Reading this book will take you into an alternate reality where your mind and spirit will open up to a different perspective. This tale will make you laugh, cry, and wonder if any of this could really happen. Jean Lazar is an author, artist/painter, teacher, spiritual minister, energy healer, Reiki practitioner, massage therapist, and Hospice complimentary therapist. She presently lives in New England, where she writes and paints in her studio. See her non-fiction book, Their Last Painting or a recently updated e-book edition, called Their Last Painting: End-of-Life Heartfelt Stories. Mention the title, author and/or ISBN 978-1-77143-378-5.